When it comes to craft beer enthusiasts, I know far too many who don’t love lagers, heck any people don’t even mildly appreciate them. I admit I had this problem for a while myself, but I’ve slowly come around. After discovering my love of lagers, I’ve tried to proselytize others to love lagers but have found surprising reluctance. This reluctance from folks who’ve I’ve converted to enjoying things as wild as sours got me pondering. The result of that pondering is three ideas to try to understand why the hate? I couldn’t come across many hard numbers on this but did find the below chart from back in 2011. Beyond the hard numbers, the lack of popularity of craft lagers is evident with a trip to any better beer store. Just look around the shop and see all the IPAs, wheats, stouts, and sours vs. the small selection of lagers. Another way of looking at this is that out of all the breweries in Cincinnati only three regularly make lagers, and I include Sam Adams in that number. I think the prime reason is that we’ve been conditioned to love lagers, then over conditioned to lust for them, resulting in our hate. Budweiser, Miller, Coors, and others have shoved flavorless light (or, worse yet, lite) lagers down our throats for decades. Trying to convince us that this is what “beer” is supposed to taste like. I think this long-term advertising, or more bluntly put brainwashing, has resulted in a Clockwork Orange effect among those who have broken from its grasp. Now many beer enthusiast harbor an intense dislike of anything that resembles a lager, mass-produced or not. My second conclusion is that no matter what I’d like to believe, or convince people of, lagers just aren’t that exciting. A malty, floral, maybe slightly spicy lager can’t compete on the level of tongue tingling excitement with something like a stout with vanilla beans, cinnamon, cocoa nibs, and habaneros. 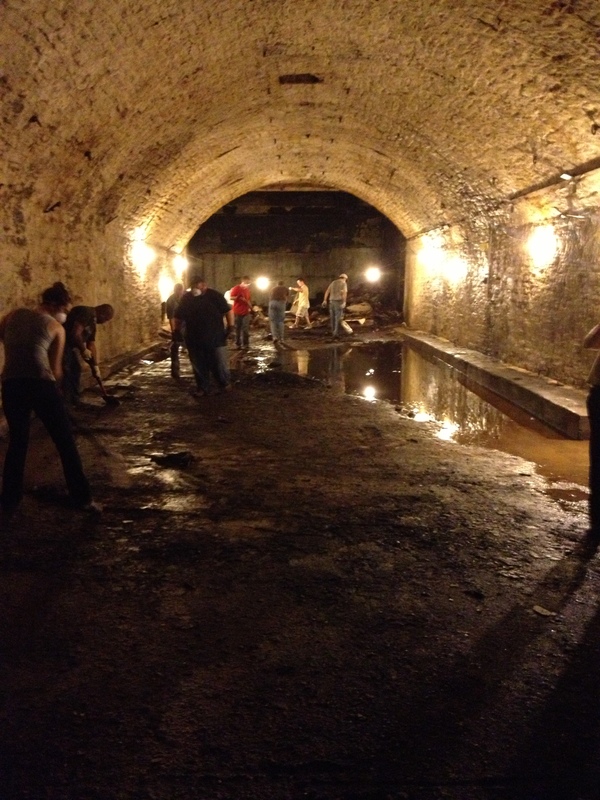 One of Cincinnati’s underground lager tunnels for the temperature controlled fermenting and conditioning. Lastly, lagers are a less financially sound decision for breweries. They are harder to brew because a lager will show off any flaws in the brewing process. Lagers are more time-consuming than IPAs because they have to be lagered—fermented and stored at cold temperatures before packaging—for weeks to months where an IPA finishes out in a week or two. And, as I’ve said and has prompted this article, craft beer drinkers are less likely to drink them. So why should a craft brewery spend so much more time making a more delicate product that won’t excite customers? 4 Reasons to Love Lagers! Plain and simple lagers are delicious and refreshing drinks. The total market share they occupy is plenty enough proof of this. If they were bad or disgusting, no one would drink them, no matter the advertising powers at play. Budweiser and Miller Lite are not bad beers; they’re just not exciting. A real craft lager though can be an exciting and delicious adventure when all you want is a clean refreshing beer. Your tongue can get tired of having the same thing time and time again; this is called palate fatigue. Palate fatigue is more relevant when you’re having a flight of five or six beers, but I think it still applies here. Drinking super hoped IPAs or bodacious oatmeal Russian imperial stouts day in and day out you can lose perception of how different they are from each other. A nice clean lager can refresh your palate and your mind. Session IPAs are all the rage these days and are becoming the top-selling beers at many breweries. But if you want to knock back a 12-pack whiling away a sunny afternoon there’s no need to succumb to the latest fad. Succumb to the 200-year-old staple and grab a crisp, refreshing lager. Lagers are highly quaffable, often under 6%, and go with just about any food at your family BBQ. The chart below shows the ABV distribution of 150 of the most popular lagers on BeerAdvocate. Those are all great reasons but here’s the real kicker that makes me think more craft breweries, and craft beer enthusiasts, need to love the lager. America is a country that loves its lagers and if we want to beat AB-InBev or SABMiller we need to beat them at their own game! It’s easier to sell a macro beer drinker on a “really high-quality Budweiser” then it is on a “bitter, citrus, pine flavored IPA.” Once that macro beer drinker has had a craft lager, they’ll be more interested to try other beers by that brewery and blossom into a craft beer enthusiast. Don’t misunderstand me on any of this, this is no cry to go enjoy a Miller Lite. This is a rallying call to find the closest craft brewer to you and try their lager if they have one or ask them to make one if they don’t. I realize relatively few craft breweries are making lagers, compared to the total number of craft breweries, so some good examples with wide-ranging distribution are Victory Prima Pils, Brooklyn Lager, Sierra Nevada Summerfest, or Sam Adams Boston Lager. My fellow Cincinnatians and I are extremely lucky in that we have not one, but two breweries making multiple lagers. Moerlein bottles Purity Pils, Barbarossa, and Helles lagers year-round while Rhinegeist cans Puma Pils over the summer. Many other locals also make periodic small batch releases of pilsners, dunkels, and marzens. Anyone have other reasons that we should embrace lagers? Or a different craft lager folks should be embracing? If so, drop a comment below!